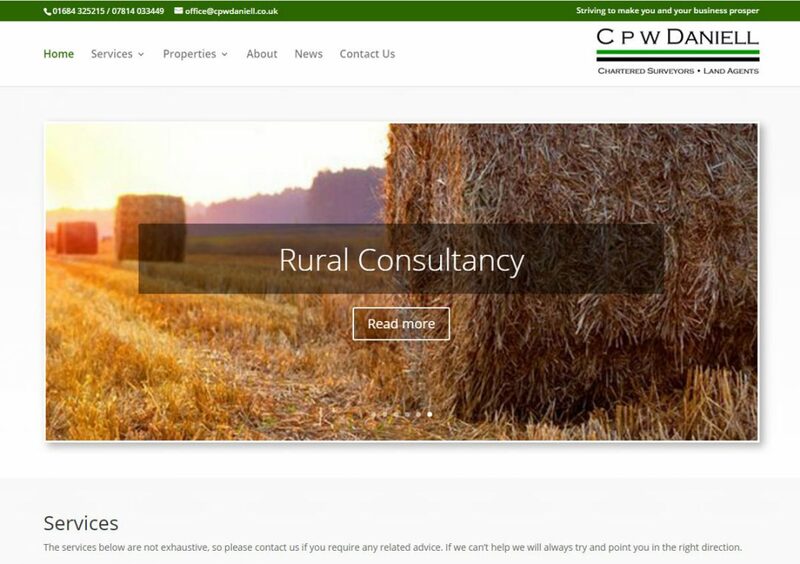 CPW Daniell Ltd is an independent firm of rural chartered surveyors and land agents formed in 2012. They specialise in providing professional advice to landowners, farmers, rural businesses and those with investment, amenity or equine interests in land. The website has had an overhaul (largely behind the scenes) to make it smartphone and tablet friendly.